amsterdam | …More Than Odd Socks! Faceless (open until April 13th) is an exhibition about the concept of mask, which is seen not only as a decorative headpiece, but also as a medium to investigate the meaning of Identity and Culture. In my opinion it is not surprising to see that the majority of the artworks presented in the exhibition are produced by female artists, because the mask and the masquerade is often used by artist to explore the Feminine and the female self (for instance like in the series of self- portraits by Cindy Sherman). Most of the works exhibited have as subject the most controversial garment in the world: the burqa. The traditional veil from Middle East and North Africa show exactly how a garment carries not only a practical function but also a large spectrum of meanings (or symbols). Some people look at it as the proof of the underdevelopment of Muslim countries in order to justify racist behaviours and policies in the West; others use it to underline the social inequalities between women and men in the world; and some others look at it as a tool to reinforce their cultural identity. In the exhibition there are two pieces that interpret the multiform symbol of burqa. The first one is a picture that recalls advertising campaigns: but the centre of the advertising is a burqa by the brand H&M and worn by a blond model. I think that the artist is questioning through this picture the beauty standards carried by the fashion industry. The picture shows that those standards cover the real body and identity of a woman in the same way as a burqa does. The other artwork is the Anti-Drone Burqa, designed by Adam Harvey and Johanna Bloomfield in New York. The interesting feature of this object is the fact that a traditional garment, seen as tool for female’s oppression, is transformed into a defensive weapon against the extreme oppression of war, protecting the possible owner form drones. A mask is not only an artefact separated from the actual body. It can also be integrated into the body itself. This more conceptual way to look at the mask, and the photographic medium, helps the artists to create a sort of fake reality that become real into the fiction of the picture. The paradox is that the human body becomes faceless thanks to an additional face, in a post-human representation of the identity itself. The person behind the mask is so deeply integrated with it that he (or she) become completely part of it: so a woman in her refined dress become a Lady Glittersky (as suggested by the title) or the human skin can be seen as a wood of the highest quality (Sterling Wood). If you are in Amsterdam that’s definetly an exhibition that you must see! More informations and pictures here! Enjoy it! The Tassenmuseum (Museum of bags and Purses) can’t be reducible in only one definition. It started as a private collection, but during the times it became bigger and bigger, and nowadays is more a hybrid between a Costume Museum and a Fashion Museum. The collection travels through the centuries to explore the history of the bags. It tells us the story behind this indispensable object, showing us when and how bags have been created since the XVI Century. It being understood that it is not only a simple private or historical collection, but even the location could be considered as a further type of museum, because it is guested in a sophisticated canal house built in 1666 in one of the most famous Amsterdam’s canal. So the collection of 4000 bags and accessories can been seen also as a good excuse to visit the noble house. Beside the permanent collection there are several temporary exhibition, one of them is the Barbie’s Birthday Bash (which is open until May 4th). The aim of the exhibition is to celebrate the fifty years presence of the famous doll in the Netherlands, displaying fifty Barbies from the ‘60s to nowadays. The exhibition is not set in only one room, but it is spread in the whole building in order to give to the visitors a complete experience of the museum. 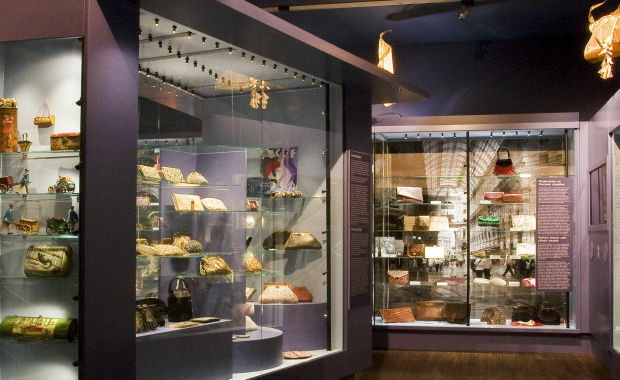 Walking through the several rooms and floors visitors would see all those tiny Barbies and their fancy outfits integrated with ancient purses or modern design bags and clutches, giving a complete overview about fashion changes and trends from the past times to the present. 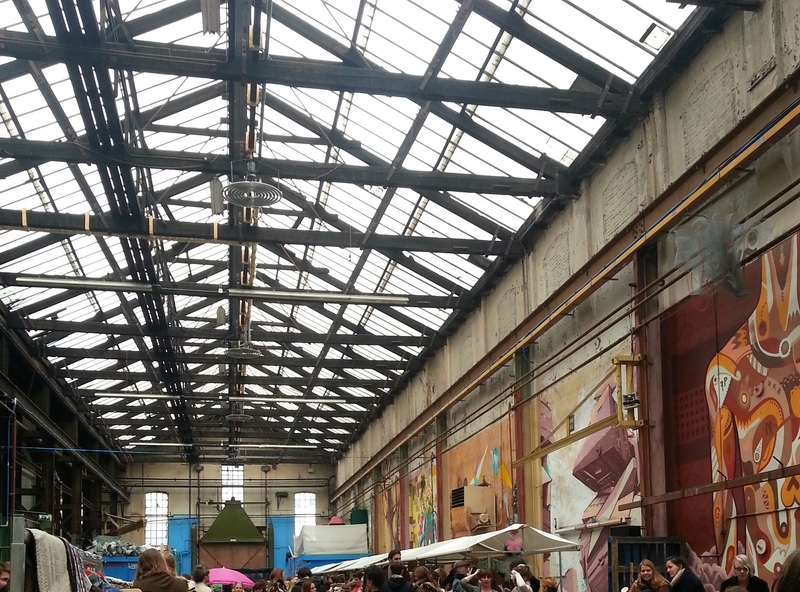 Yesterday I had a great afternoon in a special market in Amsterdam Roest: was the Moderne Hippies Markt. It isn’t just a common market, because it takes place only four times per year, so if you’re interested in visit it check their website to be update on all the events and markets scheduled! There were a lot of stands, all different and customized were you can find all those very ’70s accessories: feathers for your hair, bells and belts for your boots, and gorgeous secondhand coats and shirts. After shopping and tasting the vintage atmosphere it was also possible to have a massage or a hair restyling: amazing isn’t it? I’m already looking foreword for the next Modern Hippies Market! As you all may know, today it’s Valentine’s day and right now I’m having a drink in a nice pub in Amsterdam (yes, indeed we’re living here)! The hipster-kinda-atmosphere of this pub (The Schuim, just in front of the yellow squat in Spuistraat) inspired me the idea of a new project: trying to find spot and trends from the stylish Amsterdam’s streets! Yeah… now I’ll think about it while we’re waiting for our St. Valentine’s indian dinner!! Stay tuned and see what’s gonna happen! Ormai sono passate quasi quattro settimane dall’open day tenutosi all’Amsterdam Fashion Institute il 10 Novembre. Io e altre centinaia di persone abbiamo atteso di entrare pazientemente, nella lunga fila a serpentina che arrivava fin dall’altro lato della strada. Arrivato il nostro turno ci hanno fornito una brochure con la mappa dell’edificio, sulla quale erano segnati gli orari e le aule nelle quali erano programmate le presentazioni dei corsi e gli incontri con studenti e docenti a cui poter rivolgere le proprie domande e soddisfare ogni curiosità. Un’organizzazione impeccabile. Si tratta di una delle più prestigiose istituzioni per la formazione e istruzione nel settore della Moda in Europa, al punto da aggiudicarsi il ventottesimo posto nella Top50, stilata dal sito Fashionista, dei migliori istituti di Fashion Design nel mondo. La sede si trova in un quartiere moderno ed elegante di Amsterdam, in pieno centro e vicino al Museumkwartier. Durante la giornata di apertura al pubblico è stato possibile girovagare in tutto l’edificio. Abbiamo visitato le aule e soprattutto i laboratori di sartoria, nei quali non solo viene insegnato ad assemblare un’abito, ma anche a realizzare i tessuti e le stampe. Questo è il vero punto di forza dell’istituto: preparare gli studenti nella realizzazione pratica dei prodotti della moda, dalla progettazione al disegno, dai colori ai materiali, fino ai plastici in scala per gli studi di layout e marketing. Un’approccio complesso, globale, che non punta alla sola teoria. L’istituto prevede tre indirizzi: Fashion & Design; Fashion & Branding; Fashion & Managment. Sono tutti corsi quadriennali (ovvero Bachelor Degree) corrispondenti alla nostra Laurea Triennale. Da un lato è curioso che non ci siano corsi di specializzazione, master o short courses, ma in realtà questa potrebbe essere una scelta di metodo interessante. Infatti la durata quadriennale perme di accedere ai più giovani a un insegnamento di altissimo livello, ma consente anche a chi proviene da diversi background di avere una formazione completa e pratica del Design e del Marketing. Oltre alle lezioni e ai laboratori viene inoltre offerta la possibilità di trascorrere un semestre in un altro istituto analogo in Europa, ed è obbligatorio svolgere un tirocinio (facilmente reperibile tramite la scuola stessa) direttamente collegato al mondo del lavoro e all’indirizzo di studio scelto. Queste sono state le considerazioni e le riflessioni che ho potuto fare quel giorno. Per il resto, spero di tornarci presto. YOJ. SOSTENIBILITA’ MADE IN ITALY.